We didn’t have much space in our booth at the IPS Conference in Warsaw. Thank heavens for the NANO DOME our 1.6 meters (5 foot) portable dome. The NANO DOME is our lightest and most portable dome yet, making it ideal for restrictive spaces or for traveling to exhibitions. 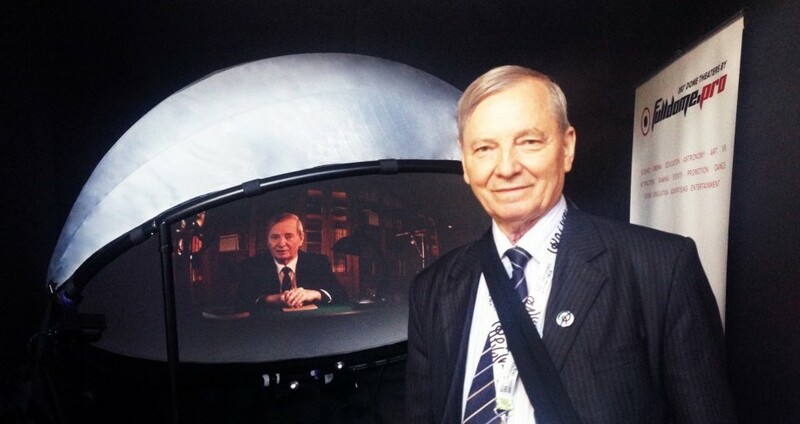 In very limited area we were still able to show content to visitors, including “Rosetta” to one very important guest – discoverer of comets, Klim Churyumov (RIP).